Large indoor / outdoor banner made with heavy duty vinyl to withstand an entire tax season outdoors in the harshest conditions. 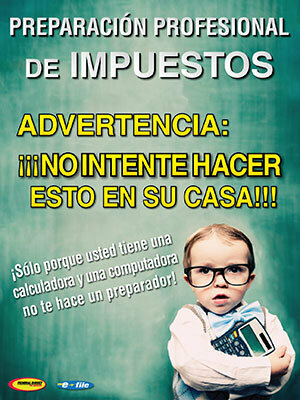 Available in both English & Spanish for your tax office marketing. Large indoor / outdoor banner made with heavy duty vinyl to withstand an entire tax season outdoors in the harshest conditions. 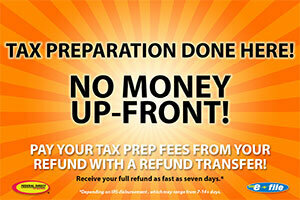 Promotion targets the Same Day Cash Advance available for client tax refunds. 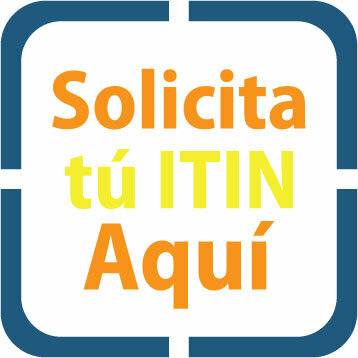 *Available in English only. 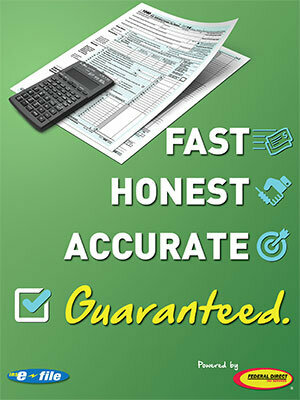 **Tax office prior season filing history dictates qualification for this advance product. 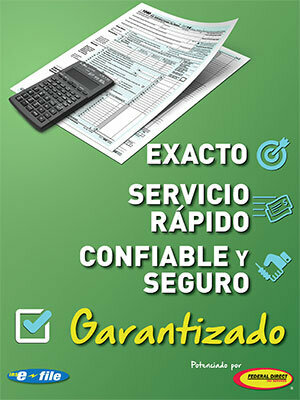 Double sided English / Spanish tax preparation poster. High gloss, full color poster to promote professional tax preparation services. 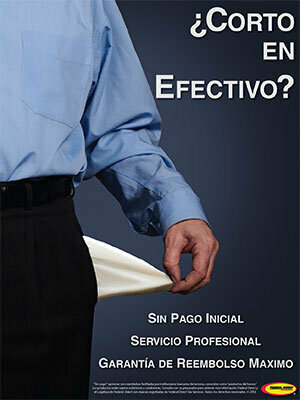 Double sided English / Spanish. 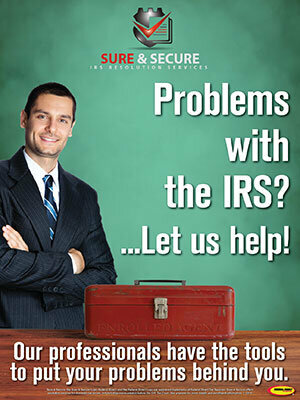 High gloss, full color poster promoting the Sure&Secure IRS problem resolution services available through your office as a Federal Direct partner. Double sided English / Spanish. 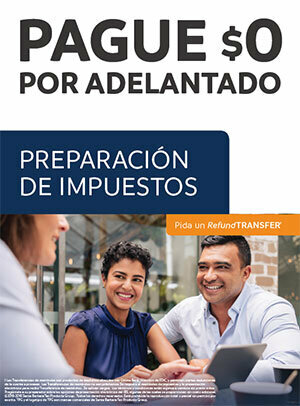 High gloss, full color poster highlighting to clients the option of paying for tax preparation feeds out of their refund check. Double sided English / Spanish. High gloss, full color poster presenting your clients with no-out of pocket cost options for paying their preparation fees and professional tax services. 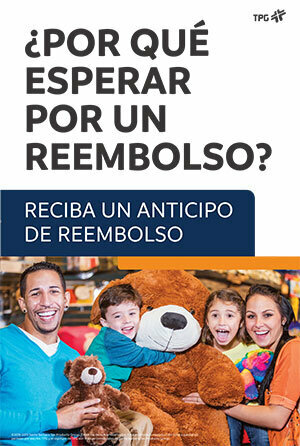 Double sided English / Spanish. 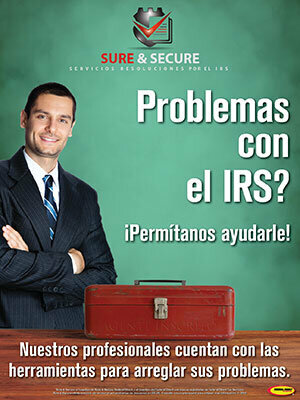 High gloss, full color poster for tax office marketing, to promote professional tax preparation services. 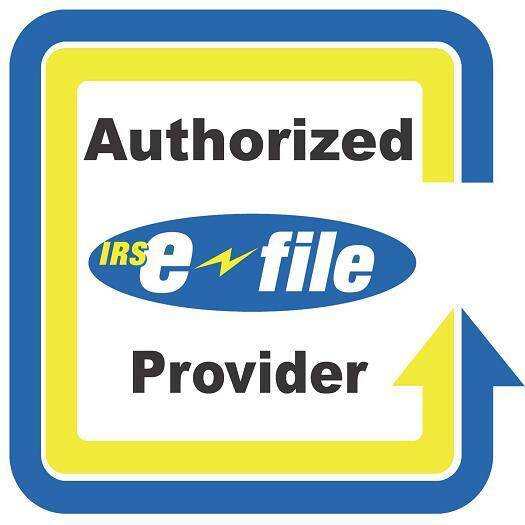 Two-sided window cling promoting being an IRS Authorized E-File Provider and Sure & Secure Resolution Services. 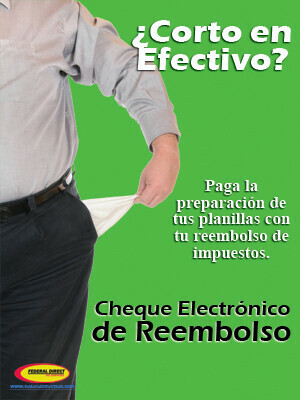 Double sided English / Spanish. High gloss, full color poster promoting the ability for your clients to pay their tax preparation fees out of their tax refund. Double sided English. 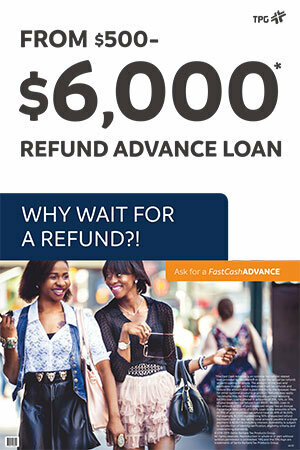 High gloss, full color poster promoting the Refund Advance Loan for up to $6000. Double sided Spanish. 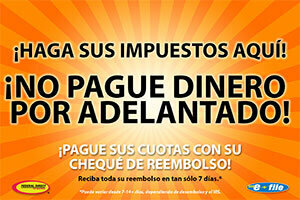 High gloss, full color poster. Double sided English. 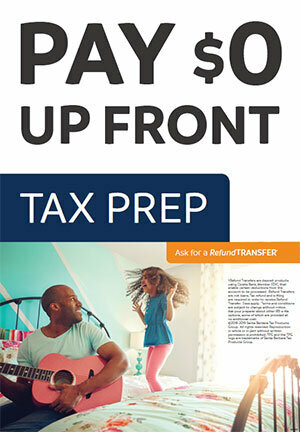 High gloss, full color poster promoting the pay zero up front for tax preparation.